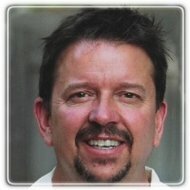 Fullerton Therapist: John Mayfield - Therapist 92832. I have been a licensed psychotherapist for over twenty five years. I have devoted my life to practicing what I preach. Over the course of a successful professional career, and raising a daughter and a son to adulthood, I have had to battle the demons of anger, self-doubt and personal inadequacy that plague my clients. I have learned from my many mistakes, not just from theory, how to feel and act like an adult, how to forgive myself and others, and most importantly, how not to take every little thing personally. Life is only a little bit about us. If we make it all about us we lose the ability to see things in a larger, more balanced way. Effective psychotherapy is the most available antidote to the feelings of depression and lifelessness that constrict our ability to live fully. Much of our time and energy has been devoted to the management of the negative feelings of anger and anxiety. Unfortunately, most of what we do to relieve some of these symptoms of distress only have a temporary success. They seldom if ever, address the issues at the source of the injury, and soon the symptoms reappear. My therapeutic approach is designed to address the issues that lie just outside one's personal awareness that lead to repetitive, dissatisfaction with oneself and others. Healing happens when we address four areas of life: Responsibility, Honesty, Courage and Balance. Matching up with the right therapist is a critical part of successful treatment. A simple introductory phone call can establish whether you are comfortable in going forward. I look forward to hearing from you.